Next month, the world’s most recognised circus performance heads back to Australia to begin KOOZA; Cirque du Soleil’s national tour Down Under. KOOZA kicks off in Sydney on 25 August 2016, performing under Cirque du Soleil’s signature blue and yellow Big Top at the Entertainment Quarter, before heading to Brisbane, Melbourne (January 2017) and Perth. 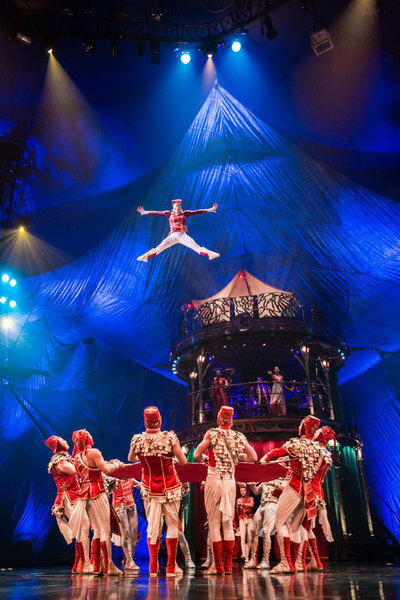 Although KOOZA is not an entirely new show, having first performed in Montreal in 2007, this is the first time Australian’s will experience the extravaganza. Over 1000 costumes pieces and literally tonnes of equipment will be making their way to Australia on two 747s, ahead of the Australian tour. Much like the eight previous Big Top shows that Cirque du Soleil has performed in Australia, KOOZA comprises of jaw-dropping acrobatics and clowning expertise, performed from a pick of the best 50 circus artists in the world. What also throws Cirque du Soleil’s KOOZA into the limelight, is the fundamentals of circus thrown in your face in an eclectic explosion of colour, all the while paying homage to the traditions of circus. The cast and crew of KOOZA represent some sort of United Nations of circus! Nationalities of the 50 stars include; Australian, Belarusian, Brazilian, Canadian, Chinese, Chilean, Columbian, French, Hungarian, Irish, Italian, Japanese, Moldavian, Mongolian, Dutch, Russian, Spanish, citizens of Trinidad and Tobago, American and British. The show follows The Innocent, as he takes a journey of self-discovery through a comic kingdom of eccentric characters, thrilling adventures, and plenty of out-of-the-ordinary surprises. Live music to accompany the spectacular is a mix of jazz, funk, Bollywood beats and everything in-between. 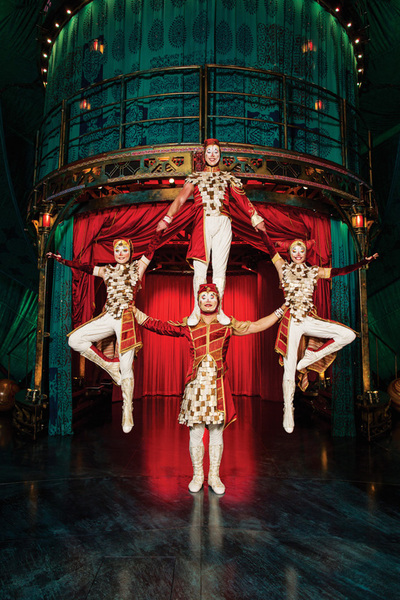 Don’t miss KOOZA: Cirque du Soleil in Australia, in which you will see the ‘best of the best’ circus stars from around the world, showcase the best of their abilities at the peak of their career. If you see one circus show in your lifetime, make it Cirque du Soleil.